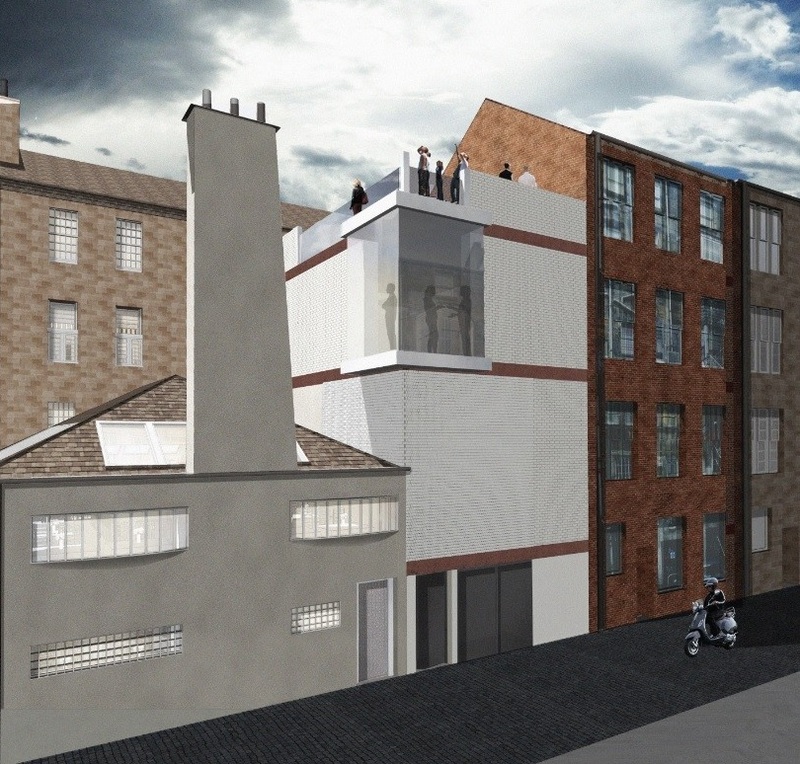 Simpson & Brown Architects‘ proposals for the upgrade of Charles Rennie Mackintosh’s Willow Tearooms at Sauchiehall St, to form an adjoining visitor centre. This will be facilitated by the construction of a double-height rear extension housing a shop, exhibition space and dining room for the A-listed café with a roof terrace, auditorium, conference suite and billiard room. Simpson & Brown will also help conserver the existing fabric plus integrate new services and lifts. The design team includes Studioarc, Rybka, David Narro Associates, Alliance CDM, Building Learning and People Friendly Design. 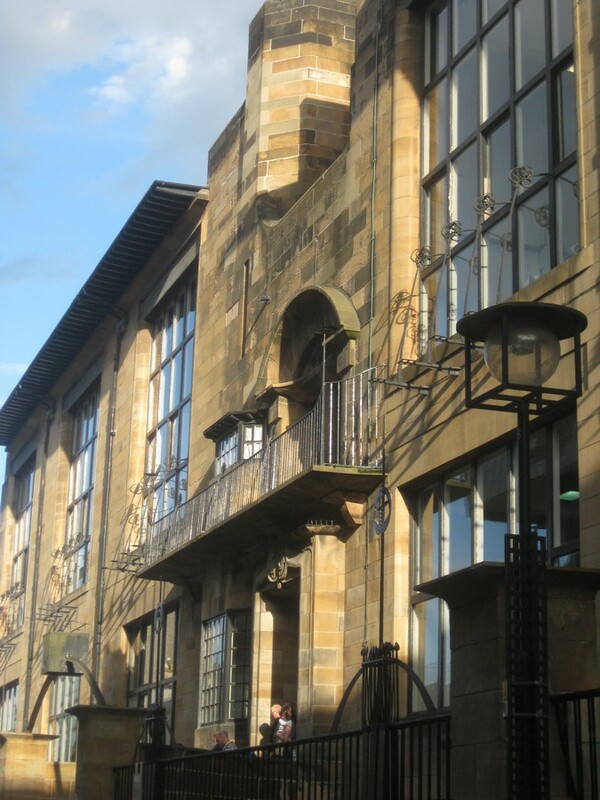 The £7m redevelopment aims to be completed by the 150th anniversary of Mackintosh’s birth in 2018. The architecture competition winning scheme is for the Willow Tea Rooms Trust. Glasgow Tea Rooms for Kate Cranston. 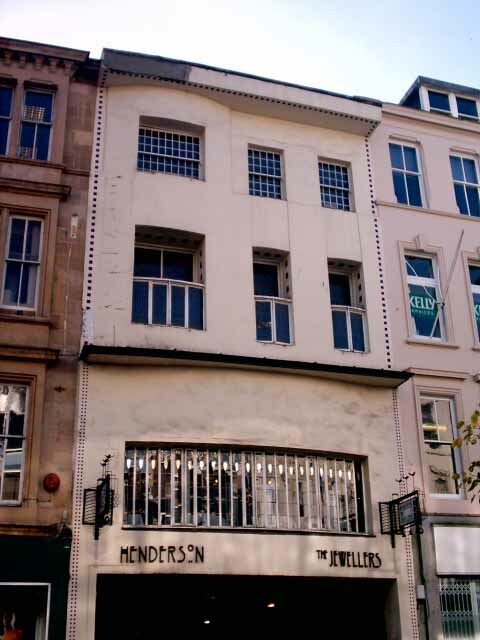 Mackintosh added the Willow Tea Rooms bow-windowed façade to an existing commercial building. The long window at first floor crosses the whole facade and looks forward to Modernism: it looks out from the Room de Luxe, a room that uses a dominant grey palette. The first tea room you reach above the jewellers is the White Room with interesting cut-outs in the plan. The Room de Luxe is reached circuitously by another flight of steps at the north side of the lower ‘restaurant’. 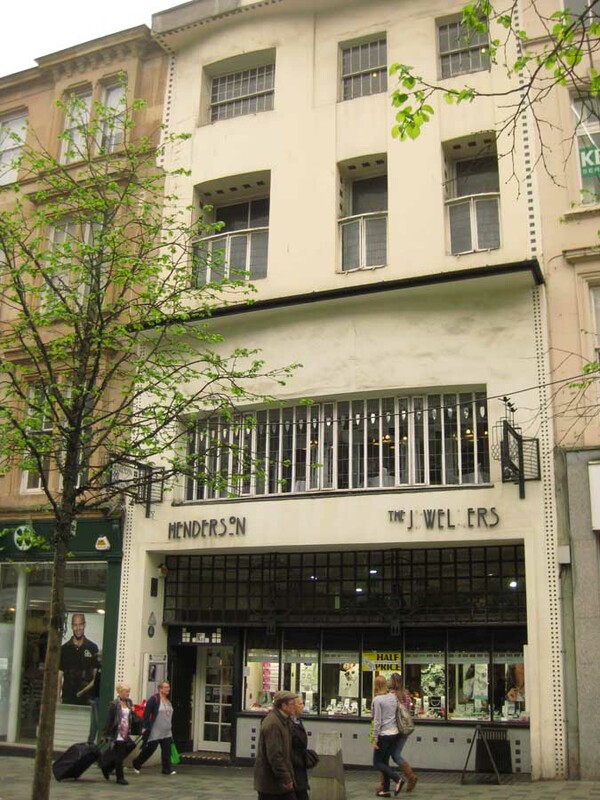 There is a similar Mackintosh Tea Room at 97 Buchanan Street, Glasgow’s other main shopping thoroughfare, dating from 1997. The Willow title originates from the Gaelic translation of Sauchiehall, ‘alley of the willows’ ie Sauchie = willow. The motif of the willow is integral to the Tea Room’s interior. 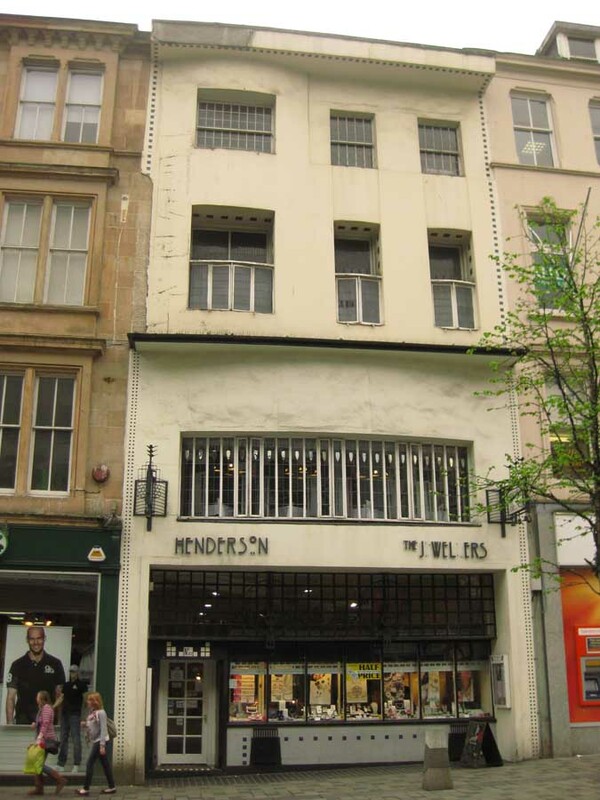 The Room de Luxe was recreated by Anne Mulhern in 1983. The Gallery too was recreated, in 1996. Thus visitors could once more get an idea of what the Willow Tea Rooms as designed by Mackintsoh really looked like. The “Willow Tea Rooms” at 97 Buchanan Street is located next door to the original Kate Cranston Tea Rooms. 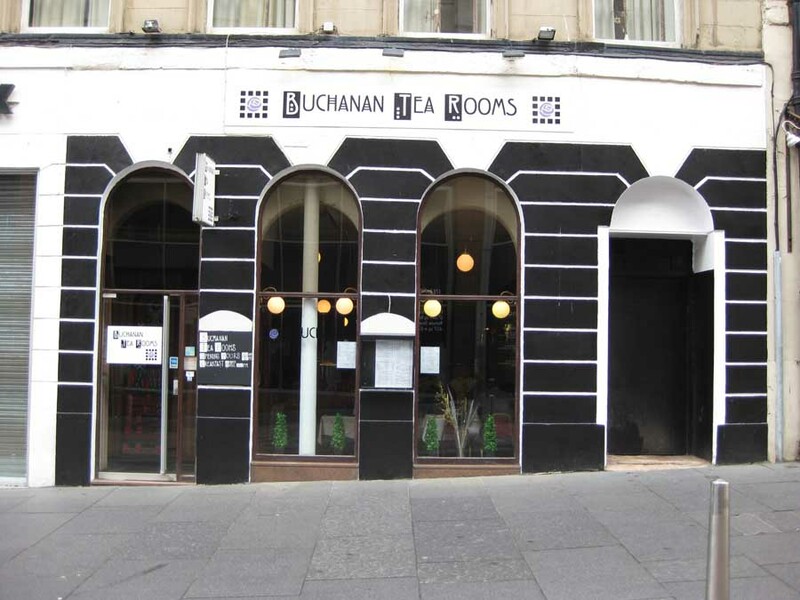 Buchanan Street Tea Rooms contains the recreated White Dining Room and Chinese Room both from Ingram Street. 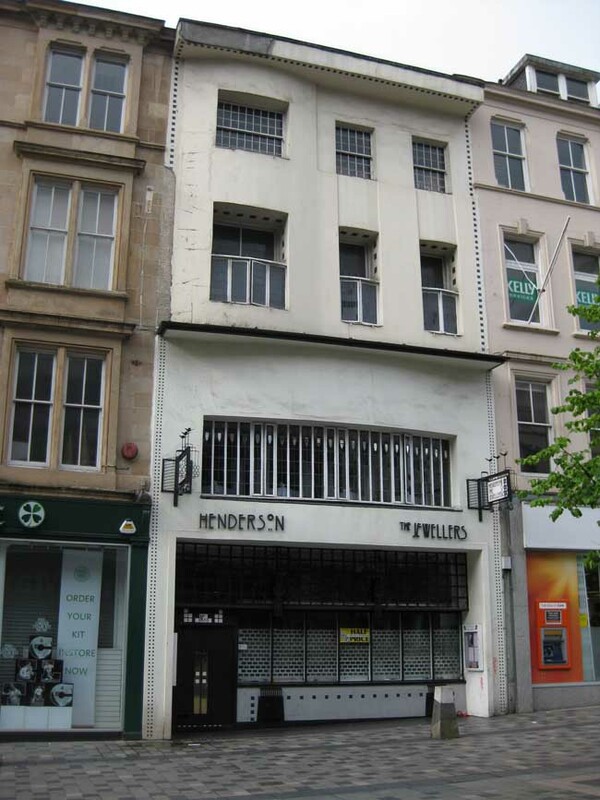 Street Tea Rooms, 91-93 Buchanan Street. 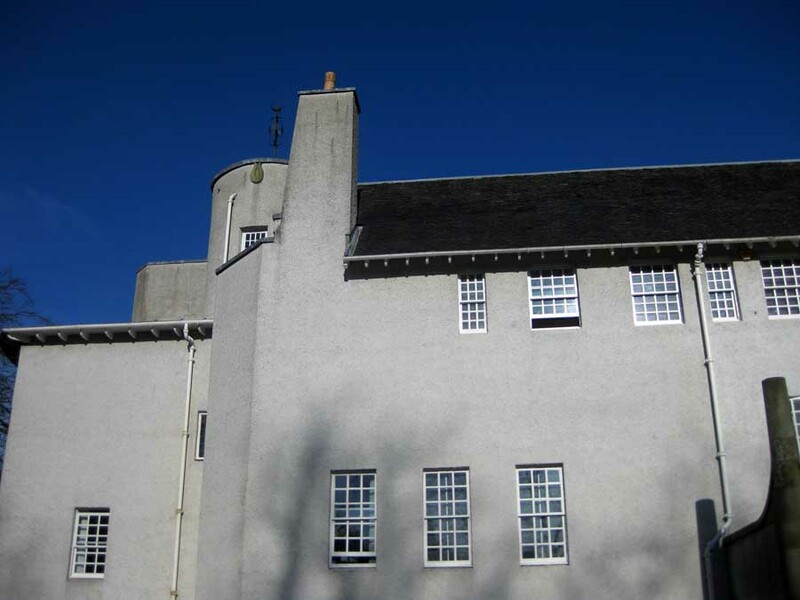 Mackintosh worked with Cranston from 1897 to 1917 in all four of her Glasgow Tea Rooms, including the Ingram Street Tea Rooms and Argyle Street Tea Rooms.